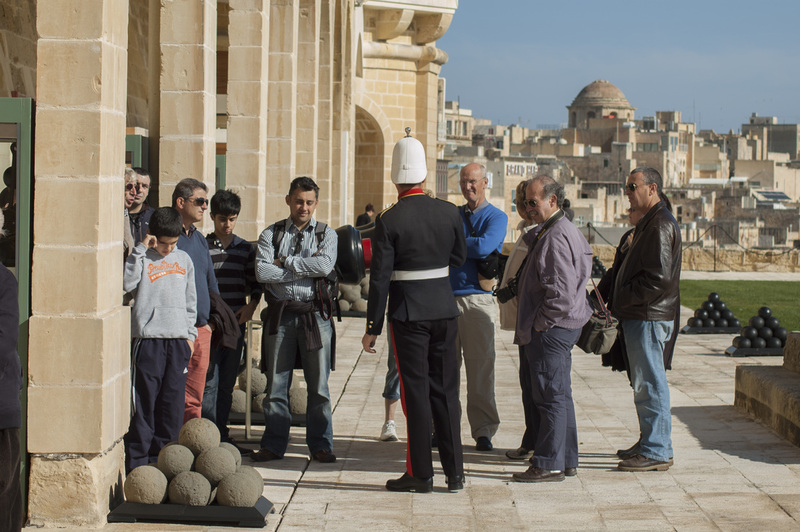 ​Visit the Saluting Battery - Valletta's ancient ceremonial platform from where gun salutes are still fired. The passage of time is marked twice daily from here with gunfire at noon (12.00 hrs) and afternoon (16.00 hrs). 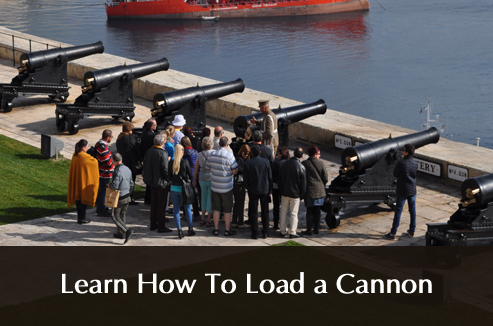 The battery is shown as it stood in the late 1800's, complete with working cannon, artillery stores, gunpowder magazine, historic ordnance collection and a small museum. 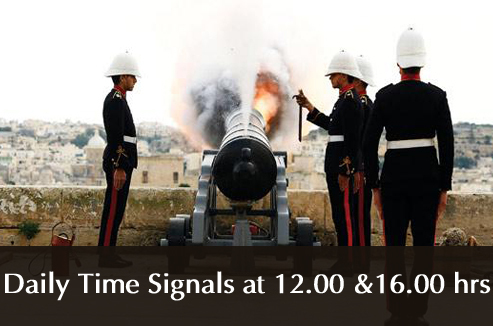 Follow the directional signs leading to the Saluting Battery starting from the main entrance into Valletta. These will take you along South Street onto Castille Place past the Auberge de Castille and to the Upper Barracca Gardens. The battery can be entered from both the Gardens and Battery Street adjacent to it. 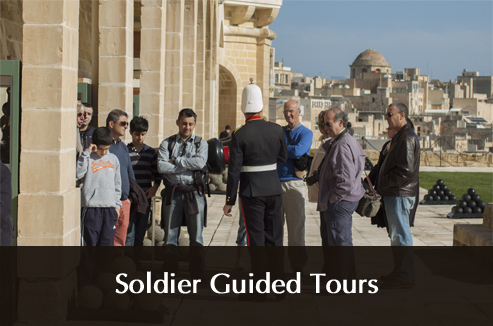 Ferry to Valletta, follow directional signs leading to the Saluting Battery. Refreshments are available throughout the day, all year round - selling snacks, hot and cold drinks. Male and female toilets are located inside the Saluting Battery. The battery is shown as it was in the 1800's, complete with working cannon, artillery stores, gun powder magazine, historic ordnance collection and a small museum. We welcome all photographers to our sites and we hope you will share your pictures with us on Flickr and Facebook. We do have some restrictions at certain locations, so if photography is your main reason for visiting, please call us ahead of your visit to check if any parts of the site are restricted.